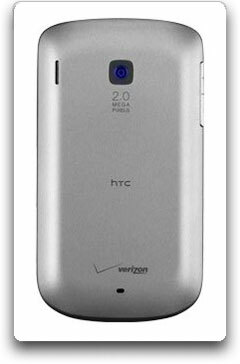 Boasting a simple design with a host of connectivity options, the easy-to-use HTC Ozone smartphone for Verizon Wireless is a great choice for both first-time smartphone users and savvy business professionals. 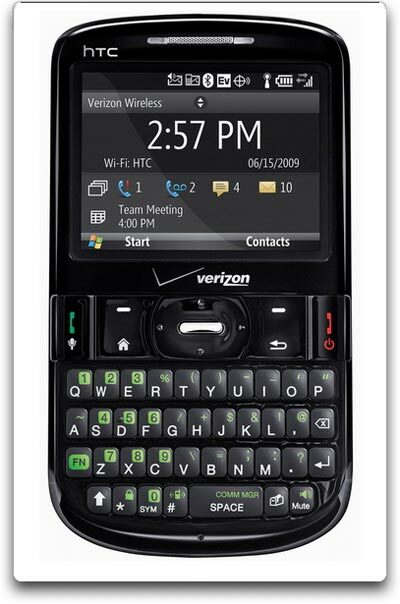 In addition to accessing the reliable and fast Verizon Wireless voice and data network, the Ozone is also compatible with GSM networks outside the United States, giving you the option to make phone calls in 220 countries and to access email and Internet in any of the 175 countries where Verizon Wireless provides data roaming services. With the power of the updated Windows Mobile 6.1 operating system, you’ll stay easily connected to your business and personal data on the go with support for a wide variety of email accounts as well as the ability to edit Microsoft Office documents. You’ll also stay on course thanks to the VZ Navigator GPS turn-by-turn direction service. And with the optional Visual Voice Mail service, you’ll be able to quickly and easily scroll through your messages and pick the ones you want to listen to. The Ozone offers an ergonomically-designed QWERTY keyboard for fast and easy typing, a one-touch messaging key for quick connection to friends and family, and Wi-Fi connectivity for accessing email and the Internet from home, work or Wi-Fi hotspots when on the go. Other features include a 2-megapixel camera/camcorder, Bluetooth connectivity for handsfree devices and stereo music streaming, a 256 MB internal memory, MicroSD memory expansion to 16 GB, and up to 4.8 hours of talk time. Perfect for the world-traveling professional, the HTC Ozone can connect to wireless networks from Europe to South America to Asia thanks to its quad-band GSM/EDGE/GPRS connectivity. It comes pre-installed with a SIM card, so customers who plan to travel abroad can activate global service at the time of purchase or by calling Verizon Wireless prior to leaving the U.S. (additional charges applicable). When used at home here in the U.S., you’ll connect to Verizon’s 800/1900 MHz CDMA network, as well as its 1xEV-DO 3G high-speed data network–which offers download speeds ranging from 400 to 700 Kbps and peak rates up to 2 Mbps. But when you’re traveling within a GSM network coverage area outside of the U.S. provided by Verizon Wireless’ global roaming partners, the quad-band GSM-enabled Ozone provides easy voice connectivity while roaming the globe. 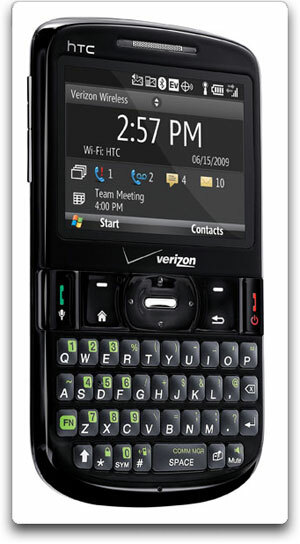 With this GPS-enabled phone, you’ll be able to access the Verizon Wireless VZ Navigator service (additional charges applicable) for voice-prompted turn-by-turn directions, heads-up alerts, local search of nearly 14 million points of interest in the US (such as landmarks, restaurants and ATMs), and detailed color maps. With Mobile Broadband Connect (subscription required), you can use your smartphone as a modem for your notebook when you connect the two using a USB cable–or open a Bluetooth connection–enabling you to access the Internet or your company intranet. The tethered modem capability is ideal when you’re traveling and need to use your notebook to check email, access corporate networks, or download large files like presentations and reports. And with Mobile Broadband Connect, you won’t have to buy an extra PC Card or other devices. With Visual Voice Mail, you can delete, reply and forward voice mail messages without having to listen to prior messages or voice instructions. Visual Voice Mail is the ideal tool for the busy mobile professional who may need to prioritize which messages he or she listens to first. Features include on-screen access to voice mail message status, save up to 40 messages for 40 days (or archive permanently), create up to 10 different caller ID-based greetings, and reply via call back, text or even voice mail. Verizon’s Wireless Sync always-on email service (subscription required), you can stay connected and get the job done while away from the office–without a delay and in a secure environment. Email is delivered to your device in real time across the National Enhanced Services Rate & Coverage Area, and you get the ability to forward large attachments via email as well as access both your personal and corporate emails on one device. Wireless Sync offers strong security with AES encryption (Advanced Encryption Standard) technology so that unauthorized parties cannot access or alter application data transmitted over wireless networks. 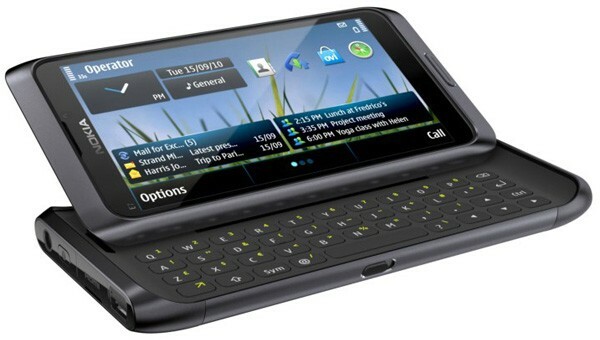 The HTC Ozone has a 2.4-inch screen (320 x 240-pixel resolution) that sits above a 5-way navigation rocker and standard send/end keys. The full QWERTY keyboard is ergonomically designed with extra-large domed keys and responsive tactile feedback to make typing emails and text messages fast, accurate and comfortable. The phone includes a 256 MB internal flash memory (as well as 192 MB of RAM), and its memory can be expanded via optional MicroSD/SDHC memory cards (up to 16 GB in size). Powerful enough for experienced business users looking for an affordable, the HTC Ozone is a straightforward choice for remotely synchronizing email, calendar and contacts with your Microsoft Exchange server. However, the flexible Microsoft Windows Mobile 6.1 Standard platform allows the it to also be simple enough for first-time smartphone users wanting to keep their family life organized. Handsfree communication is easy thanks to the integrated speakerphone. This phone also provides Bluetooth wireless connectivity (version 2.0), and includes profiles for communication headset, handsfree car kits, and file transfer. With the A2DP Bluetooth profile, you can stream your music to a pair of compatible Bluetooth stereo headphones. You can connect your laptop (either via Bluetooth or wired USB) and enjoy dial-up networking–surf the Internet, send email, and access files from a server (additional charges or subscription applicable). You’ll also be able to access open Wi-Fi networks in offices and hotspots via the integrated 802.11b/g wireless connectivity. 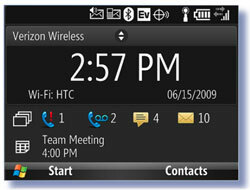 Get to your messages and information fast with the sliding-panel home screen. Instant Messaging: AIM, WL Messenger, Yahoo! 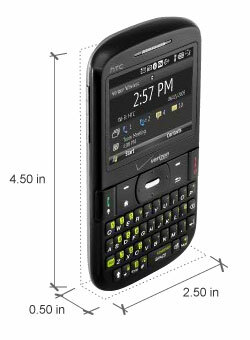 The HTC Ozone weighs 3.7 ounces and measures 4.5 x 2.5 x 0.5 inches. Its 1500 mAh lithium-ion battery is rated at up to 4.8 hours of talk time, and up to 324 hours (13.5 days) of standby time. It runs on the 800/1900 MHz CDMA frequencies and is compatible with the EV-DO 3G data network when on the Verizon network in the US; in international territories, it’s compatible with 850/900/1800/1900 MHz GSM/GPRS/EDGE networks. Microsoft’s Windows Mobile 6.1 offers a number of handy features that make searching through email, editing Microsoft Office documents, and staying on top of your most important communications even easier. Emails can now be viewed in their original rich HTML format and now offer the ability to visit embedded links. It also includes Windows Live for Windows Mobile, which provides a full set of Windows Live services, such as the Windows Live Messenger IM application, which now enables you to chat with more than one person at one time or send a file. With Windows Mobile 6.1, your phone will finally be able to emulate the power and features of your PC’s Microsoft Office suite. You’ll be able to neatly view, navigate and edit Word documents and Excel spreadsheets in their original formatting–without affecting tables, images or text–as well as view PowerPoint presentations. All Windows Mobile 6.1 powered devices include Direct Push Technology for up-to-date e-mail delivery and automatic synchronization of Outlook calendars, tasks and contacts through Microsoft Exchange Server. It also offers a set of important device security and management features that include the capability to remotely wipe all data from a device should it be lost or stolen, helping ensure that confidential information remains that way. .-= Rudi´s last blog ..Video Thumbnails Maker 2.1.0.6 =-.